The citizens of Ireland voted recently, in a nationwide referendum, to remove a clause from their constitution that had made blasphemy a criminal offense. 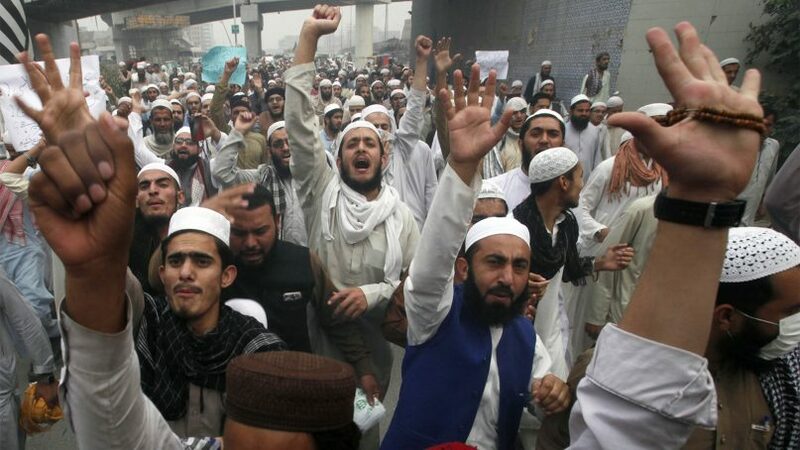 The overturning of Ireland’s blasphemy law stands in stark contrast to recent news out of Pakistan – where the release from prison of Asia Bibi, a Christian woman, accused of blasphemy, has led to widespread protests. In Indonesia, too, many people have been jailed for speaking irreverently against Islam. Despite its recent defeat, Ireland’s 2009 blasphemy law is an important reminder that laws against blasphemy have hardly been unique to the Muslim world – even in the 21st century. As of 2014, according to the Pew Research Center, nearly one-fifth of European countries and a third of countries in the Americas, notably Canada, have laws against blasphemy. In my research for a literary study of blasphemy, I found that these laws may differ in many respects from their more well-known counterparts in Muslim nations, but they also share some common features with them. In particular, they’re all united in regarding blasphemy as a form of “injury” – even as they disagree about what, exactly, blasphemy injures. In the Muslim world, such injured parties are often a lot easier to find. Cultural anthropologist Saba Mahmood said that many devout Muslims perceive blasphemy as an almost physical injury: an intolerable offense that hurts both God himself and the whole community of the faithful. The intensity of this “hurt,” “wounding” and “ridicule” helps to explain how blasphemy can remain a capital offense in a theocratic state like Pakistan. The punishment is tailored to the enormity of the perceived crime. That may sound like a foreign concept to secular ears. The reality, though, is that most Western blasphemy laws are rooted in a similar logic of religious offense. As historians like Leonard Levy and David Nash have documented, these laws – dating, mostly, from the 1200s to the early 1800s – were designed to protect Christian beliefs and practices from the sort of “hurt” and “ridicule” that animates Islamic blasphemy laws today. But as the West became increasingly secular, religious injury gradually lost much of its power to provoke. By the mid-20th century, most Western blasphemy laws had become virtually dead letters. That’s certainly true of the U.S., where such laws remain “on the books” in six states but haven’t been invoked since at least the early 1970s. They’re now widely held to be nullified by the First Amendment. Yet looking beyond the American context, one will find that blasphemy laws are hardly obsolete throughout the West. Instead, they’re acquiring new uses for the 21st century. Consider the case of a Danish man who was charged with blasphemy, in February 2017, for burning a Quran and for posting a video of the act online. In the past, Denmark’s blasphemy law had only ever been enforced to punish anti-Christian expression. (It was last used in 1946.) Today it serves to highlight an ongoing trend: In an increasingly pluralist, multicultural West, blasphemy laws find fresh purpose in policing intolerance between religious communities. In other words, the real question for the 21st century has not been whether blasphemy counts as a crime. Instead it’s been about who, or what – God or the state, religion or pluralism – is the injured party. Instead of preventing injury to God, these laws now seek to prevent injury to the social fabric of avowedly secular states. With its emphasis on the “outrage” blasphemy may cause among “any religion,” the measure was clearly aimed less at protecting the sacred than at preventing intolerance among diverse religious groups. Illustrations of prophecy: particularly the evening and morning visions of Daniel, and the apocalyptical visions of John (1840). Internet Archive Book Images. Image from page 371. The law itself caused outrage of a different sort, however. Advocacy organizations, such as Atheist Ireland, mounted fierce opposition to the law and to the example it set internationally. In late 2009, for instance, Pakistan borrowed the exact language of the Irish law in its own proposed statement on blasphemy to the United Nations’ Human Rights Council. As Columbia University professor Gauri Viswanathan puts it, blasphemy is often used “to separate cultures of modernity from those of premodernity.” Starting from the assumption that blasphemy can exist only in a backward society, critics point to blasphemy as evidence of the backwardness of entire religious cultures. I would argue, however, that this eurocentric view is growing increasingly difficult to sustain. If anything, blasphemy has in recent years enjoyed a resurgence in many corners of the supposedly secular West – including prosecutions in Austria, Finland, Germany, Greece, Switzerland and Turkey. Perhaps the fate of Ireland’s Defamation Act forecasts a broader reversal of that trend. This piece incorporates elements of an earlier article published on May 1, 2017. Steve Pinkerton is a lecturer in English at Case Western Reserve University. If I understand correctly, US law makes the following illegal, as they hurt the feelings of African-Americans: a picture of burning cross, a picture of a noose, a picture of a banana. If the foregoing statement is correct, what is the difference between what is the difference between the foregoing and blasphemy? How does theology (as opposed to law) define blasphemy? Is blasphemy an offense to (a) the God of Abraham, Isaac and Jacob, a non-human being; (b) to Jesus, who was a special human being; or (c) to Christians, who are regular human beings (ie not special the way Jesus was)? You have a repetitive phrase here. The acts you describe are against the law. The difference is that blasphemy is too general a term and of course there is no way to get a god into court; i.e.too many people no longer accept that there is any god. I am of the God of Abraham and yes He does get offended. I also question that He is non-human, with a theory that God is not ashamed of His creation, taking on a human form that He may have a Father in Heaven. Steve! What happened to the rest of your story? I would love to have had you develop the point made in the last paragraph. It isn’t correct. None of those are illegal. Pictures no, but if you burn a cross or place a hangman’s noose in the yard of a Black family, that is a different matter and is usually against the law. In the examples you give, who is the victim: the black family or the black community at large? That is to say, does US law recognize that communities (not just individuals) could be victims? The act will affect the entire community, but the direct victim, under the law, would be the family on whose property the act was commited. The folks who like “blasphemy laws” are actually the ones who are are “blaspheming” … not the “blasphemers” they’d like to decapitate. Yes, you read that right. It’s true! Allow me to explain. Assuming one’s deity is truly omnipotent, omniscient, infinite, and eternal — as most of the followers of Abrahamic religions claim — then the very idea that their deity can be “hurt” in any way — whether by someone’s “blasphemy” or anything else — actually implies that deity is less than omnipotent, omniscient, infinite, and eternal. That is, they’re tacitly admitting their deity isn’t what they believe him/her/it to be. As for “the whole community of the faithful” somehow being “hurt,” that too is ridiculous. It assumes a religion — which its followers believe it to be God-given, with said God being omnipotent, omniscient, infinite, and eternal — can be discredited or harmed by someone’s “blasphemy.” This, too, makes no sense, because it’s a tacit admission that religion might be less-than-credible. In fact, if a religion had truly been delivered to humanity by an omnipotent, omniscient, infinite, and eternal, and were actually true, then no amount of anyone’s “blasphemy” can ever possibly change that. What is the action item here? What needs to be fixed? We’ll have to coerce the governments of places like Pakistan to stop indulging the infantilization of their populations. That would be a start. Not that it’s going to happen; those governments are terrified of their own people and don’t want to deal with their out-of-control collective childishness. They’re not likely to do so, even if western nations like the US pressure them to. But if it did, it’d be a start. As for western nations that enforce blasphemy laws, they likewise need to stop looking for “injured parties” to protect from their own butthurt. Those governments don’t exist to soothe people’s personal insecurities, and shouldn’t be in that business. And Jesus said “I am, and you will see the Son of Man sitting at the right hand of the Mighty One and coming on the clouds of heaven.” at which point in Mark 14:64, the priest then said to other officials there, sitting in judgement; “You have heard the blasphemy. What do you think?” They all condemned Jesus as worthy of death. These action items are on government employees think-tank intellectuals who generated policies. Currently, government employees and think-tank intellectuals are not mentally ready to generate the policies you seek.